Will iPhone be the Death of Mobile Search? 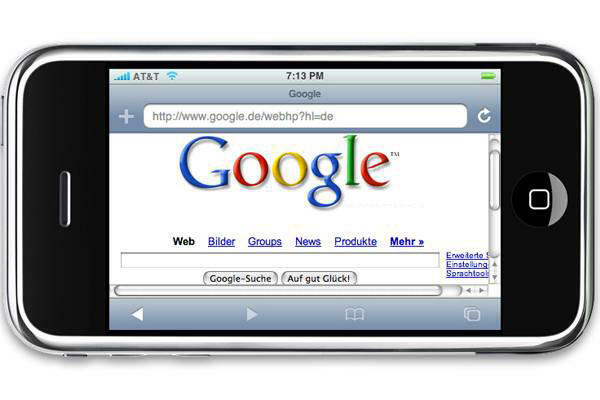 iPhone applications and the increasing popularity of smartphones, driven especially by growth in the developing world, pose the greatest threats to the long-term relevance of mobile search engines such as Google and Yahoo, according to a report Monday at TechRepublic. Jason Hiner, Editor in Chief of the widely read technology web portal, argues that a personal experiment he’s undertaken using his Apple iPhone leads to the inescapable conclusion that “trends [in mobile computing] add up to bad news for Google in mobile search because it translates into fewer people needing its search engine,” offering several pertinent examples of his own behavior in addition to statistics about the growth in smartphone use over the past year that bolster his thesis. There’s little argument that iPhone changed the mobile phone game entirely with its arrival on the scene two years ago, as all the major mobile handset makers have since come to market with their versions of touchscreen smartphones to compete with Apple. In addition, Apple revolutionized the environment for mobile software development by creating the App Store, which both provided a brand-new arena for software developers to work in and suggested a model for distribution that had previously been limited to the distribution of entertainment titles through the iTunes music store. Apple’s competitors Blackberry, Google (Android) and Microsoft (Windows Mobile) launched App Store-like marketplaces in response. But does all of this development, do all of these trends in mobile computing spell the eventual end for search as a relevant tool on mobile platforms? Certainly Google’s voice search functionality adds to its relevance and appeal on a mobile device, but as Hiner argues convincingly, limitations of mobile device screen sizes and challenges related to typing on small handsets do make traditional desktop search functionality far less appealing in the mobile environment. What do you think? Do you use Google less on your iPhone? Should Google be worried about the trends in mobile computing as a great threat to its core search product? Let us know in comments below.